Photo:"Just before the last of these vehicles was banished from the streets of New York City, the photographer snapped one of them as it passed alongside a 'Modern Electric Car' powered by the conduit between the rails. This photo was shot on Broadway just north of the intersection with Broome Street. The car is headed southbound." 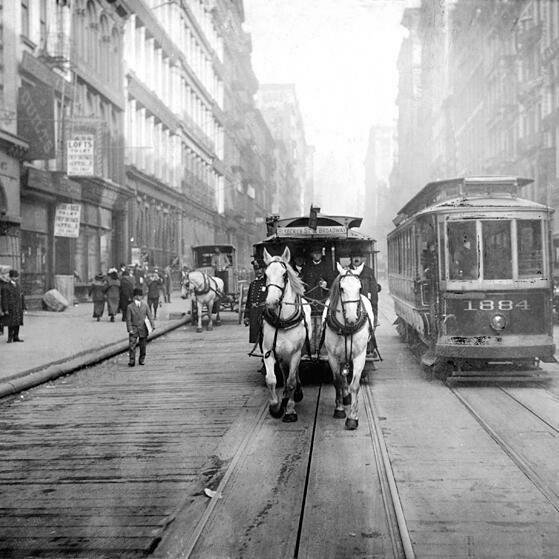 Photo, looking north, shows horse-drawn and electric trams side by side. Source w:The New York Times photo archive, via its online store here. I have a caveat for 2019, though: Maybe when President Trump stops giving him additional reasons to keep digging….